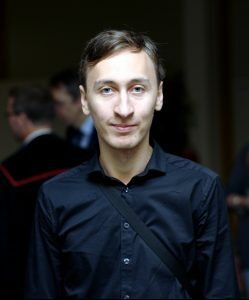 This is the website of dr. Andrei Igoshev — astronomer, the post-doctoral fellow at the Technion – Israel institute technology. I work on initial properties of neutron stars, their different observational appearances and binary stellar evolution, in particular on the natal kick. Among some of the neutron stars appearance are the central compact objects, magnetars and millisecond radio pulsars. Some of these are remarkably young, some – extremely old. Sometimes neutron stars show clear evidence for strongest known magnetic fields, some of other quit weak ones. This play contains many contradictions and unexpected turns. The hope is that with the help of modern telescopes and numerical modeling we will be able to catch the elusive physics which makes all appearances possible.